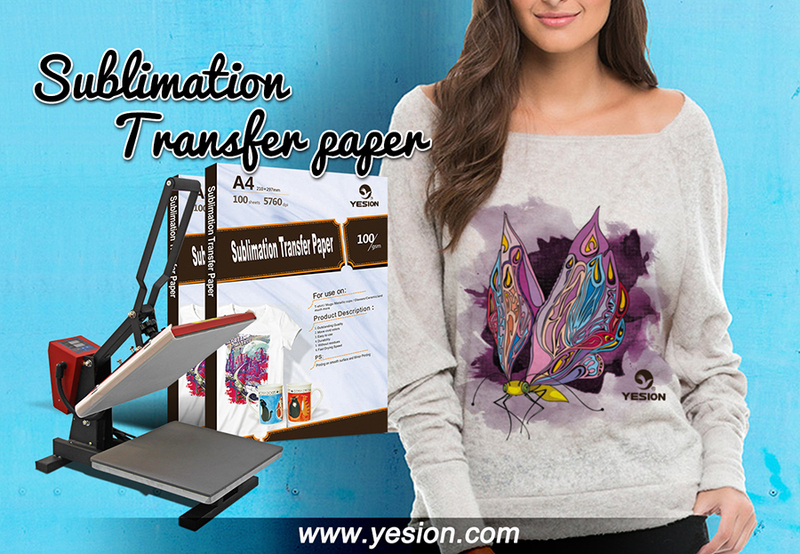 What problems will occur during the use of sublimation transfer paper? The ambient humidity of the printing room is preferably controlled at 45-70% RH. If the air is too dry, the transfer paper will be easily warped. At this time, the large ink amount of the inkjet thermal transfer paper may cause the nozzle to rub. A malfunction occurs; excessive moisture in the air causes the drying speed to drop and the transfer paper to be uneven on both sides. Then, the air conditioner is activated in the inkjet printing room. If there is no air conditioner to maintain the balance of temperature and humidity, removing the transfer paper plastic bag 1-2 days before printing allows the transfer paper to balance the moisture in the paper. When the transfer paper absorbs too much moisture in the air, the paper becomes very soft, and it is easy to make the transfer paper wrinkle when passing through the pickup roller. The best remedy is to remove some crepe paper at intervals. The small spring of the wheel reduces the pressing force so that the printer can level the paper feed. When printing, it is necessary to look at the printing side of the paper. If you can't determine the printing surface, you can use your fingers to apply some water to the two sides of the transfer paper. The feel is smooth and heavy. When the transfer paper is placed on the printer, be sure to wear fine cloth gloves to avoid dirty fingerprints on the transfer paper.